Take the next step in successful IT Asset Management and get a complete and accurate overview of all the hardware in your environment. Use a range of agentless scanning methods to discover your entire network automatically, without any configuration. These days it is hard to imagine running a successful company without the help of an extensive IT network. One of the most time-consuming tasks for any systems administrator is to keep track of all hardware devices in their IT environment, what and where they are and who is using them. IT Asset Management is no longer possible by just using spreadsheets, no matter how good you are at them. Relying on manual updates only results in scores of obsolete data. Lansweeper offers you a complete and accurate overview of what is going on in your network, automating your asset management completely. 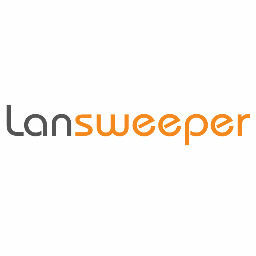 Find All Computers and Devices in Your Network Scan and rescan all of your network computers and devices as you configure it automatically with Lansweeper. Use agentless scanning methods to discover Linux, Max, Windows, Server and other network devices. PCs that are not part of your network can be inventoried as well thanks to the agent included in all licenses. Lansweeper offers several scanning methods, both agent and non-agent based. You can tailor the scanning setup to any want or need. PCs that are not part of your network can be inventoried as well thanks to the agent included in all licenses. Lansweeper offers several scanning methods, both agent and non-agent based. You can tailor the scanning setup to any want or need. Once you have discovered your hardware assets, you can Group your assets in various ways. Create IP range locations, which allow you to assign a name to an IP range. Any hardware asset that belongs to the specified range will automatically be placed in the corresponding IP location you've created. Static groups with only specific assets you pick. Dynamic asset groups which dynamically add or remove assets based on the conditions you enter. Additionally, computers and devices are automatically sorted into categories to provide you with quick overviews of your network. Devices are organized by device type; computers are organized by domain, model, OS, and OU. In addition to groups, Lansweeper IT Asset Management enables you to upload blueprints or maps of your offices and place your hardware assets on them so you can easily location track them. Physical mapping of your assets can be of great use when hardware needs replacement or maintenance in a large IT environment. Lansweeper allows you to link your hardware assets to other assets or users and to define the user/asset relationship. You can specify that asset A is owned by user A for instance and that asset B is backed up to asset C. There are a number of built-in relation types and you can create your own as well. Retain an audit trail for computer software, as well as a variety of hardware changes and other details. Track all changes tracked through the web console. Lansweeper provides a high degree of customization allowing you to choose which history you want to track and for how long. Manage software and other settings on your assets by using the Lansweeper software deployment module. Create deployment packages to install, update or remove software, perform command line commands or deploy custom scripts. Use the Lansweeper report builder to write your own custom reports to get a clear overview of all your hardware assets. Alternatively, you can use the built-in reports in the reports module. Both built-in and custom reports can be prioritized and added to overviews on Lansweeper's Dashoard. This way you get an on-the-fly overview of the most critical information as defined by you.